The Possibilities of Mobility and Rowing – How can you make an improvement to your stroke using mobility? As a coach I work with many different athletes. Yesterday I started my day coaching a group of Military Rowers from CRI. Half of them are brand new to the sport of rowing and half of them have been rowing for years. After that I worked with the Boston College Men’s Rowing Team. Later that morning I taught a new private client to row on the erg in the gym. Then I finished the day working with the Renegade Juniors who are working to make the CRI Competitive Team move boats faster. Of all the tools I use with these athletes, whether it’s lifting form, rowing drills, or conditioning, mobility work has the biggest bang for the buck when it comes to making a change in rowing form. If an athlete can figure out what is tight and what is limiting them from making a change, then they’ve got a shot at making a change. Of course figuring out what is tight/limiting is a challenge in itself, but once that happens you can introduce various mobility exercises to help increase range of motion and make the change. In future posts I will roll out some of my favorite movement screens to help determine what is tight/limiting, but for now take a look at the possibilities. 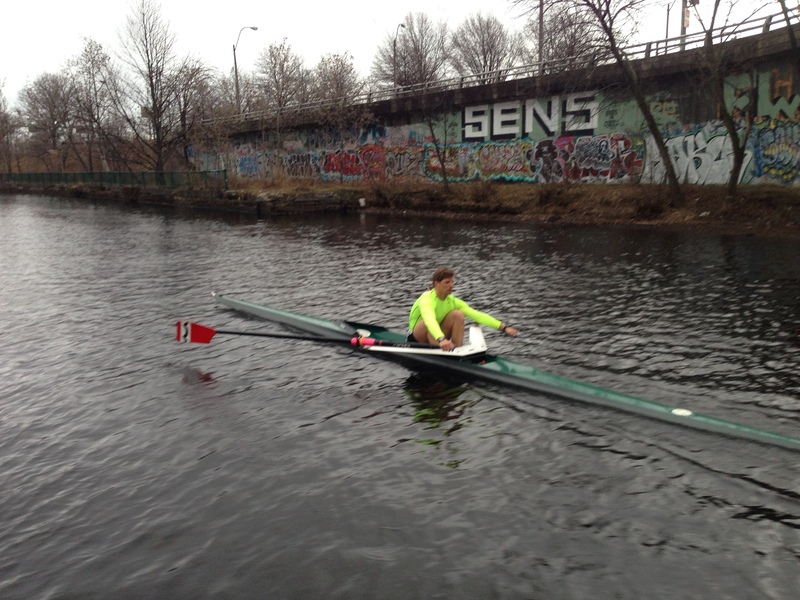 Below are two videos of Drew, a renegade rower training to be elite. The first one is from 2013. Notice his hunch/lunge with his torso and shoulders at the catch. After that, watch the second video, taken last week. Notice how his torso is much more upright and his shoulders stay locked into a stronger position. In order to achieve this change he has been working on mobility in his hips and shoulders for the past 6 months. Checkout yesterdays post to see his current mobility routine. Let us know what you think in the comments. Have you had any success making an improvement/change to your stroke by focusing on mobility? This entry was posted in Fitness, Mobility, Motivation, Our Mission, Rowing, Strength and tagged balance life, endurance sports, exercise, functional movements, health, inspiration, new sport, people, personal experiences, recruitment patterns, row 2k, rowing, sports, Strength, training, water by Renegade Rowing. Bookmark the permalink.